Ever since her reality show Tidying Up with Marie Kondo hit Netflix people have been taking to social media to lambaste the clutter guru about her attitude towards getting rid of books. 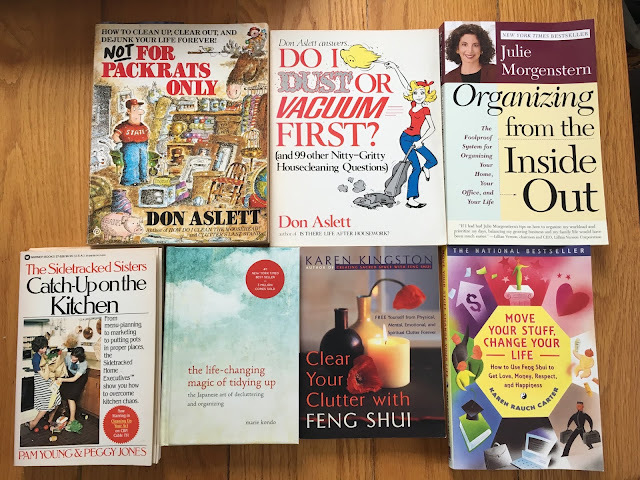 As you've likely heard, Kondo's approach to cleaning up is to have you gather all like objects together, hold each one individually, and keep or discard it based on whether or not it "sparks joy". When it comes to books, she would have you tap them to "wake them up", hold each one, and if you decide the book in hand no longer needs to be in your life (thereby not sparking joy), you thank it and let it go. 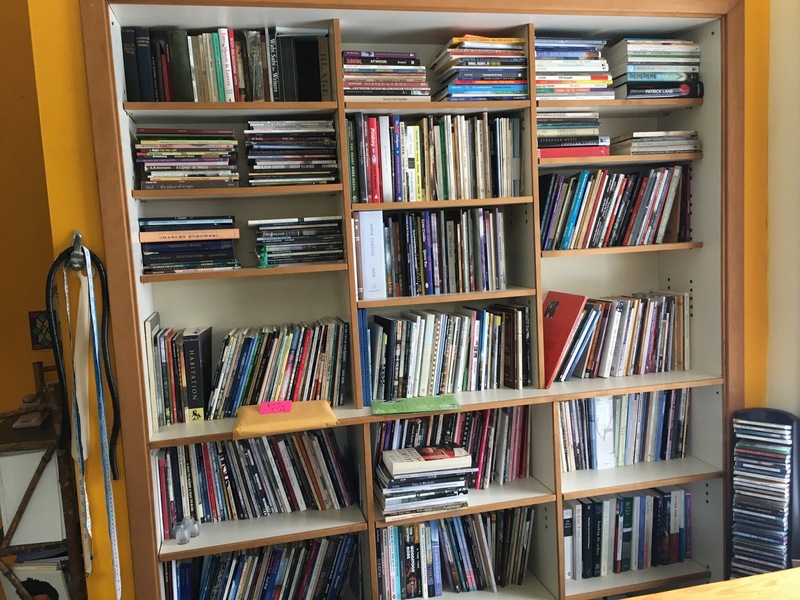 A couple of years ago I managed to donate ten boxes of books to Nelson's excellent Booksmyth Used Books. There was fiction, non-fiction, a handful of kids' books, coffee table books, and poetry. (If it was a duplicate. Maybe.) Ten boxes, and you couldn't tell anything was missing. 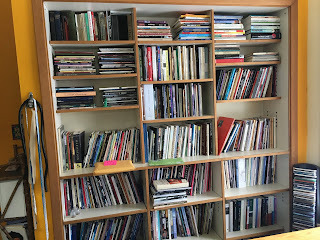 In one of the Tidying Up episodes the fellow whose books are about to be sorted laments that he has ten boxes altogether! When I was twelve I read My Brother's Keeper by Marcia Davenport for the first time. I had just finished reading Gone With the Wind, my first "adult" novel, and was soon to discover The Watch That Ends the Night. I was starting to realize there was a whole world of words out there beyond Winnie-the-Pooh, The Wind in the Willows and The Golden Pine Cone. 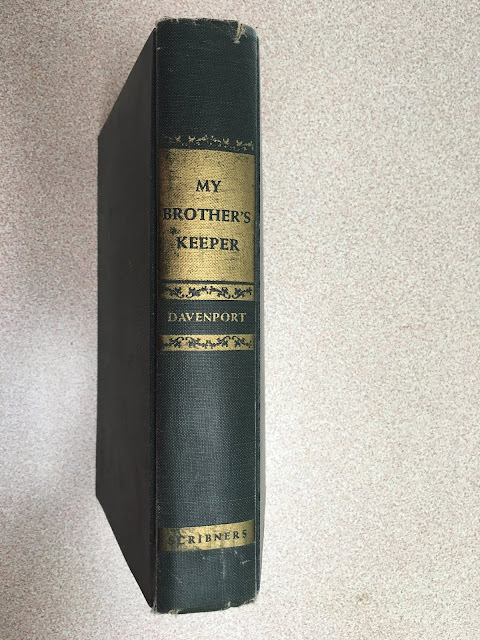 My Brother's Keeper was first published in 1954 and was a Book-of-the-Month Club selection which is undoubtedly how it wound up in our house. Davenport's novel is based on the infamous Collyer brothers who lived in New York City in the first half of the last century. Homer Collyer went blind and became largely paralyzed and his brother Langley proceeded to look after him. Langley, who had trained as an engineer, set up a warren of paths through the massive amount of detritus that accumulated in their huge home, fashioning booby traps along the way in order to deter unwelcome visitors. One day, while bringing Homer his meal, Langley tripped one of his own traps and was crushed by falling debris. Blind and immobile, Homer then spent a couple of unimaginable weeks starving to death. And I thought my hoarding tendencies were bad! The novel is a fabulous roman à clef wherein the brothers' surname is changed to Holt as Davenport delves deep into their lives and weaves a tale that speculates about what made them tick like the time bombs they were. When I picked up My Brother's Keeper and read the first paragraph I was hooked. "I never knew the Holt brothers, which seems strange because within a few weeks of their deaths I felt that nobody else could have known them so well. I never saw Seymour Holt at all. What I saw of Randall Holt was as gruesome a sight as a man could meet in a lifetime. By the day when they found Randall Holt I had already learned a great deal about that gentle man, and it became all the more harrowing and ghastly to have to watch while they scooped up the unspeakable thing from the rotting floor and carried it away in a covered basket." "Clean your room!" my mother would yell, "It's starting to look like the Collyer brothers in there!" 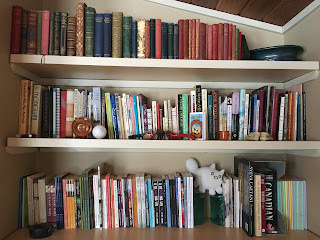 If, as Marie suggests, I were to bring all my books into the same room and put them in a pile in order to wake them up to check their joy factor I’d likely be crushed to death in the inevitable avalanche. 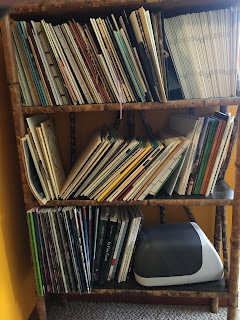 All I can tell you is that when I decided to blog about all this being able to pluck My Brother's Keeper from the shelf where it had been contentedly napping between Michael Crummey and Lauren B. Davis sparked so much joy I can hardly stand it! Linda Crosfield, you are a wonderful soul, and your writing (not to mention your presence on Earth) sparks great joy. 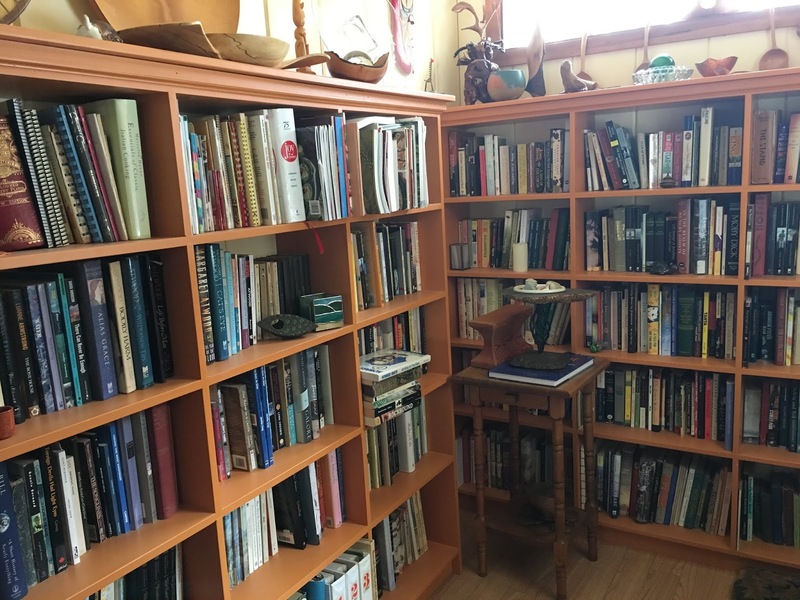 We do indeed have a whole lot of books in our house! 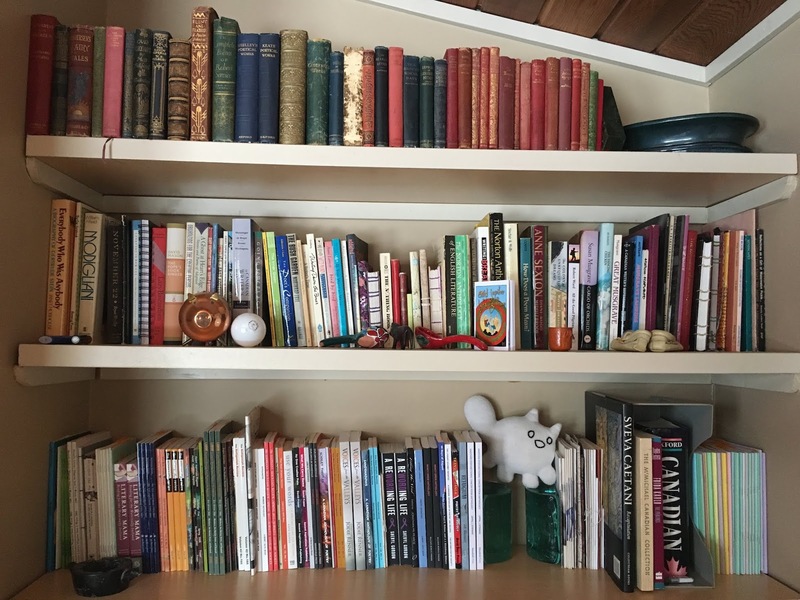 Most are shelved alphabetically and Linda knows where they are! So if it is tidy is it still clutter? I second Pat Berg's comment! Happy New Year Linda & Ted! ps: finding good homes for good books which we'll never read again is a worthwhile way to spend time, imo!